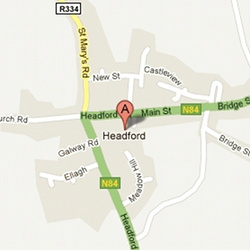 Church Road, Headford, Co. Galway. Joyce's Supermarket, Church Road, Headford, Co. Galway. CRO: 179840 (Ireland).